That is the way Pastor Frank Tamel answered his own rhetorical question in his book, Between Death and Eternity. He was commenting on a passage found in Ecclesiastes 9:5 that says just that, “The dead know nothing”. He was just into Chapter 3 of his work, an examination of the parable of Lazarus and the Rich Man (Luke 16:19-31). It was going to be necessary for the pastor to deal with this parable if he was going to be successful in what he had set out to do – to offer an alternative view of the state of the dead. In short, the purpose of the book was to advance the biblical teaching that the dead are dead, not to be conscious again until the resurrection. • Depending on ones karma and level of spiritual development, death to the Jainist may mean being reborn in another physical earthly form or suffering punishment in one of eight hells or even joining other liberated souls in the highest level of heaven. • In ancient Greece and Rome, the dead were buried with gold coins under their tongues to pay for passage over the river Styx into Hades where the soul would be judged. If worthy, the soul would gain entrance to Elysium, a place of peaceful contentment among green fields, valleys and mountains. If judged neither worthy nor evil, the neutral soul passed to the Asphodel Fields where there was a varied selection of human souls possibly awaiting purification. If deliberately evil during life, the soul passed to Tartarus where it suffered burning in lava or being stretched on the rack. 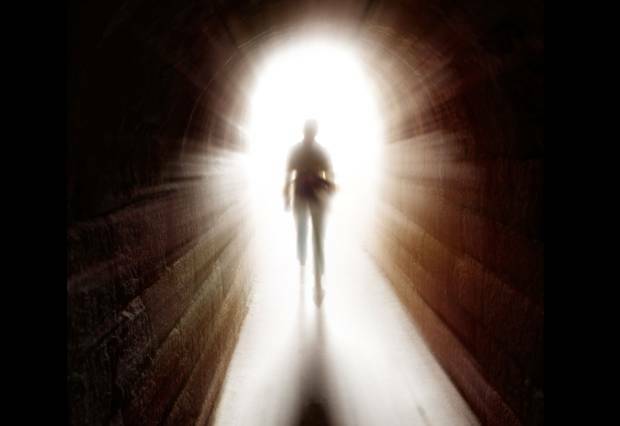 In addition to these non-Christian beliefs about what happens to us after we die, there are differences in what is believed to be the case among the community of Christian faith as well. Before we go there, however, it would be helpful to understand something about the nature of what is believed about how human beings are created. 1. The body is said to be the physical part represented by sight, smell, taste, hearing and touch. 2. The soul is seen as an immaterial, or corporeal, part of the human being represented by imagination, conscience, memory, reason and affections. 3. The spirit is believed also to be immaterial but different from the soul in that it represents our connection to the world of spiritual things – God. Our spirit is thought to be represented through faith, hope, reverence, prayer and worship. So, according to Christian thinking, what happens to us after we die? • Probably the most prevalent idea is that our soul is immortal and lives on in full consciousness after the death of the body in either heaven or hell, depending on the deeds of the individual while living life. Some traditions believe in a third possibility: an intermediate state (Purgatory) where a soul is cleansed. • “Soul sleep” is the belief that the soul rests after death in an unconscious state until it is reunited with the body at the resurrection of the dead when all stand before God to answer for the deeds done in this body. The picture painted of the afterlife (whether physical or transcendental) always seems to include a scenario in which an essential part of the individual’s identity and consciousness remain intact after the death of the body. It doesn’t matter the context – a philosophical debate or a religious discussion, we could be talking about mythology, a book or a movie – the dead always seem to be conscious and aware somewhere in the narrative. Okay, many believe that those that have passed from this life are observing us (some might say haunting us) and help us along the way. I wonder what else the dead see us do. Not to worry, in her book, Do Dead People Watch You Shower?, Concetta Bertoldi (a spiritual medium) says that the departed are not interested in that aspect of the life they left behind. Why is this important? Why does it matter what someone believes about those that are gone? I’ll give you three short answers here. I’ll treat each one in more depth in supporting posts. 1. It is an important subject. Everyone has thought of it and has questions, the subject is a favorite topic of discussion all over the world, books have been written about it and movies have been produced about almost every aspect of life after death. Wars have been fought over what was believed about this subject. Those who have held a belief that differed from that of the orthodox view have had their possessions confiscated, have been tortured or even put to death. It seems to me it is worthwhile examining the subject enough to form an opinion about it. 2. What we believe about the afterlife has an impact on how we live our lives on this side of the grave. Everything from the way we spend our money to how we worship can be influenced by what we believe about the state of the dead. For instance, if we believe that the dead are conscious and aware of what we are doing, then it stands to reason that maybe we can converse with them. Why not, then, reach out to someone of note asking for help? Sounds like prayer to me. What people believe about the state of the dead can and does influence who they pray to. 3. Finally, getting at the truth of God’s Word can be a challenging and rewarding endeavor. If the dead are dead and unaware, how does that impact your belief system? I invite you to read the follow up posts that argue for the premise that the dead are dead until the morning of the resurrection.